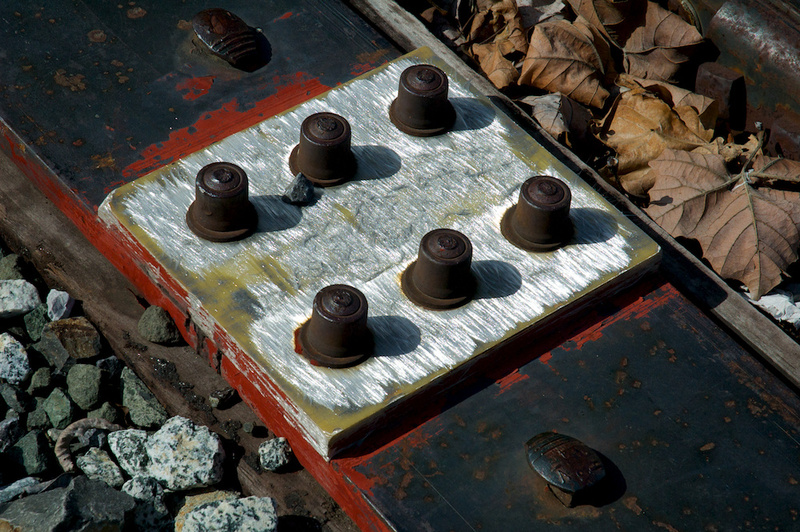 Insulated joiner plate on a spur switch throw mechanism, along the Vasona industrial lead just south of the Winchester VTA station, Campbell, California. Shot with the Nikon D70s and the 18-70mm f/3.5-4.5 zoom at 70mm, ISO 400, f/14, shutter 1/500 sec. Exposure, contrast, saturation, highlights, and levels adjustments in Aperture.